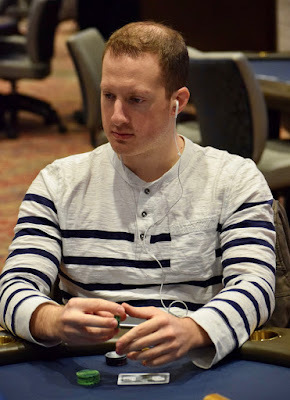 Defending @WPT Rolling Thunder Champ Mike @3KingMe3 Del Vecchio is here as cards get in the air for Event 1 in the series, the $100,000 Guarantee $1,100. Play 40-minute levels the entire tourney, start with 20,000 stacks and the plan is to play in to the money tonight, then return tomorrow at noon for Day 2. Take a look here at the Poker News article that Valerie Cross just wrote about Del Vecchio.